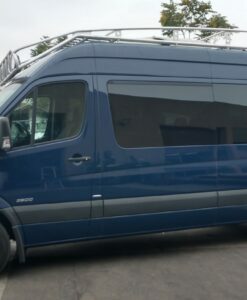 The Mercedes-Benz Sprinter van is one of the most popular vans for conversions these days. 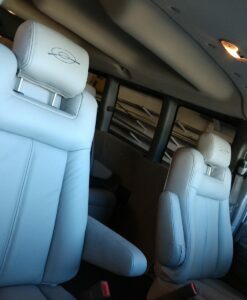 If your ready to transform your sprinter van for day trips or every day living we have products that will meet your needs. 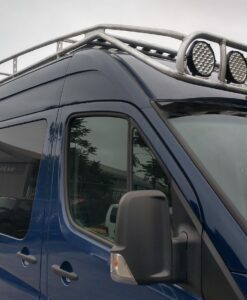 Starting at the top with our Aluminum Roof racks that allow for tons of extra room for storage or toys. Our rolled roof designs with lighting options that will make night seem like day! Our newest low profile rack gives your van a sleek look with tons of storage space. We love adding light options for your LightForce lights so make sure you stay tuned for more options. 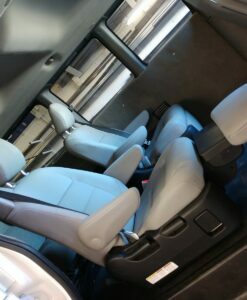 If you don’t see exactly what your looking for give us a call and we can custom build just about anything you need for the ultimate conversion van.